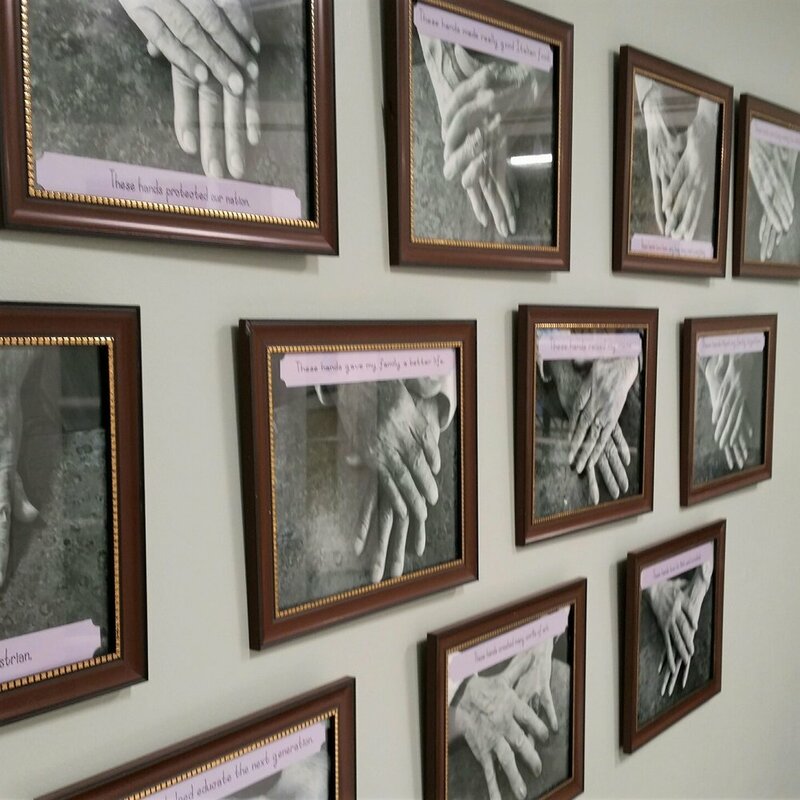 After she became an associate at Benchmark Senior Living at Billerica Crossings, Susan came up with a way to show how “everyone’s hands hold a story” – by creating a photo gallery of residents’ hands. She did it again at Benchmark Senior Living at Woburn where she now serves as programming director, and she has since inspired other Benchmark communities to create galleries, too. In early September, Benchmark communities celebrated National Assisted Living Week and Grandparents’ Day in fun ways, from barbecues to potluck dinners. And one special initiative took center stage in a number of communities. Modeled after Susan’s “hands” project, they made their own “These hands ...” galleries. 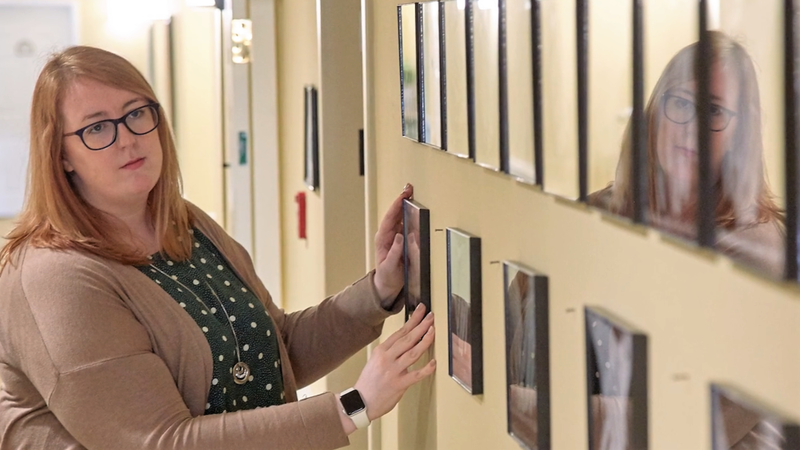 Creating the wall is such a beautiful process, we went to watch as Programming Director Jill Flores-Cordon brought a gallery to life at our Waltham community. Programming Director Jill Flores-Cordon, Benchmark Senior Living at Waltham Crossings, puts the final touches on the gallery. From left, Harbor Program Coordinator Aleks Alekhina, Eva Giannini of Candid Spirit Photography and Executive Director Linda Silveira at Greenwich Farms at Warwick.